Enriched by our vast industrial experience in this business, we are involved in offering an enormous quality range of Diesel Screw Air Compressor. Tank Mounted Versions are available from 3 HP to 30 HP with a wide range from 8.5 cfm to 127 cfm. 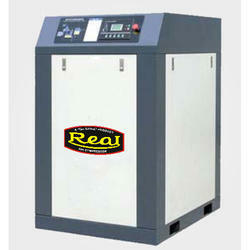 These Screw Compressors are packaged with a Ref Dryer & Filters on a Receiver. These are most popular especially where there is a space constrain. We offer reliable compressed air solutions for every need and supports all its solutions with high-quality parts, servicing and training. 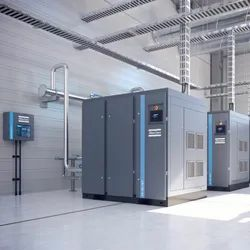 With decades of proven reliability our Compressor comes with some striking benefits of no loss of capacity or efficiency, Longer air-end life, Lower operating costs, Energy Efficient, Variable Capacity Control & Oil-Free Air. So as to uphold the standing we have built up, we are engrossed in presenting Lubricated Screw Air Compressor.